Kicked Out Of Rehab? Me too! Kicked Out? Join The Club. 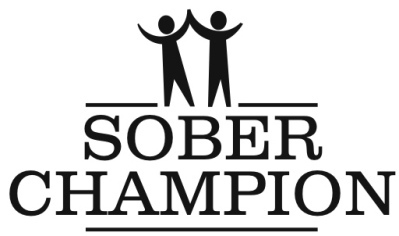 Your Sober Companion is not here to end your relationship if you relapse. A Sober Companion will not leave you high and dry if you slip. We pose the following hypothetical question: If you were a dietician treating an overweight person who admitted to fantasizing about pounds of butter, or perhaps admitted to deviating from his or her diet, would you stop treating them? Would you kick that person out of your office, or out of your health spa? Of course you wouldn't. It's a ludicrous idea. Would you stop treating someone for depression if they attempted suicide? Of course not. And yet when an addict in residential or outpatient drug treatment admits to using, there is this bizarre tendency not only to ostracize them, but to put them out. Call the probation officer. Call the cops. Call them a cab. At Sober Champion, we view this attitude as punishment - not as effective treatment. Why do "caring professionals" kick alcoholics and addicts out of residential or outpatient drug treatment when they admit to (or get caught) using drugs? Is it because they need to go somewhere else in order to "hit bottom"? Odd. As Sober Coaches and Sober Companions, we operate under the impression that you went to treatment because you hit a bottom. Is it because treatment professionals are afraid that the recently relapsed addict will "infect" the other participants in the treatment facility? That's an interesting notion: there is absolutely ZERO evidence that addiction is "contagious". There is a valid concern for those managing treatment facilities; if a resident is bringing drugs into the facility, other patients are more likely to use. Obviously, patients returning from outside visits and poorly-intentioned visitors to the facility are primary sources for drugs in the unit (this is one reason why a Sober Companion should accompany patients on outside visits). The effective answer is proper screening when patients return to the facility from vists and proper supervision while patients receive visitors. But guess what: proper re-entry screening & proper visit supervision cost a lot of money. Why won't most facilities spend that money? It isn't cost-effective. It's simply more cost-effective to kick someone out of treatment. Why? Easy: there is always someone standing at the door, waiting to get into a treatment facility. Always. Don't get kicked out of treatment. Protect the substantial investment you've made in treatment. Hire a Sober Companion to accompany you on outside visits and, if necessary, hire a Sober Companion to appear with your visitors.